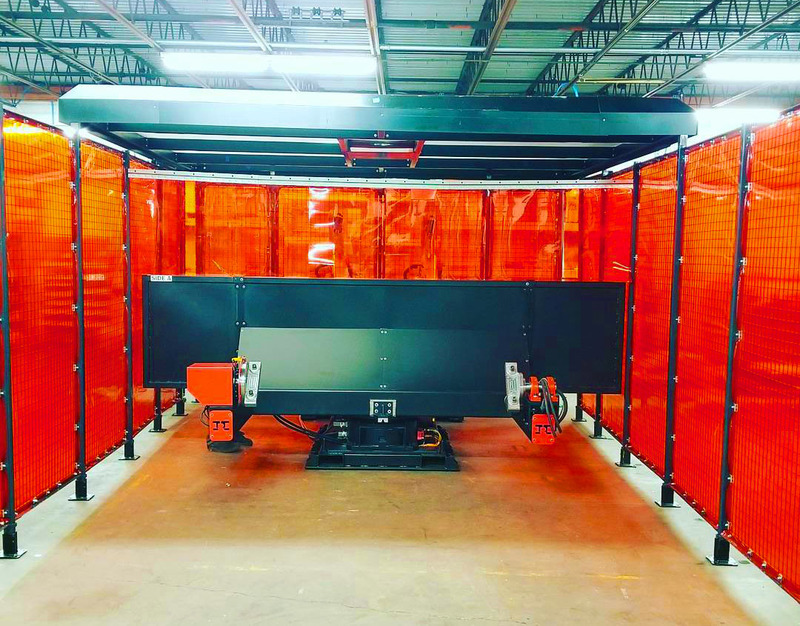 The welding systems we design and build are configured around your process requirements. We utilize the latest CAD/CAM design and Robot Simulation Software to create a system that is both efficient and cost-effective. 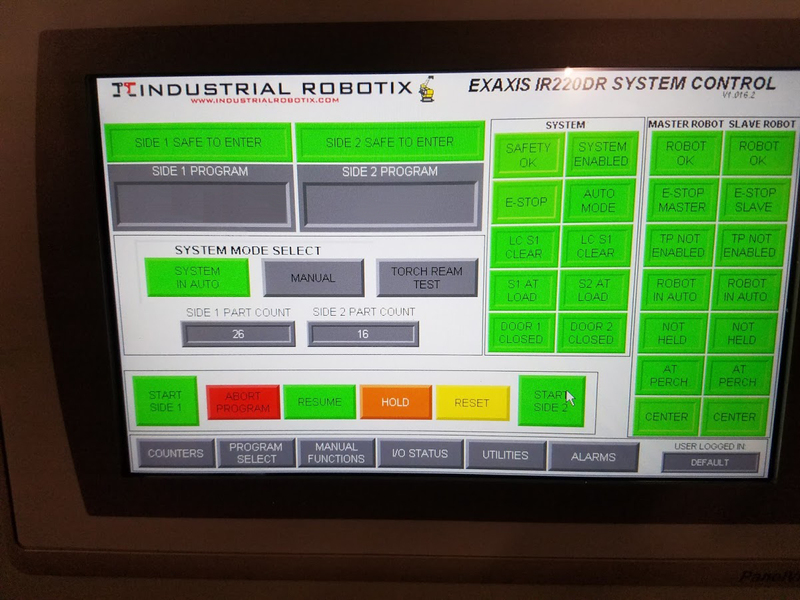 Using new or used/refurbished robots from Fanuc Robotics or Yaskawa Motoman we ensure that your system is built to today's latest ANSI/RIA standards. All controls are dual-channel, all perimeter guarding and safety meets or exceeds the latest standards. We utilize the latest safety control PLC system from Allen/Bradley. Each system includes a 9" color HMI, full Ethernet I/P communication, CompactGuardLogix PLC system, and more. Budget systems utilize the robot's safety controls and a standard push-button operator stand. 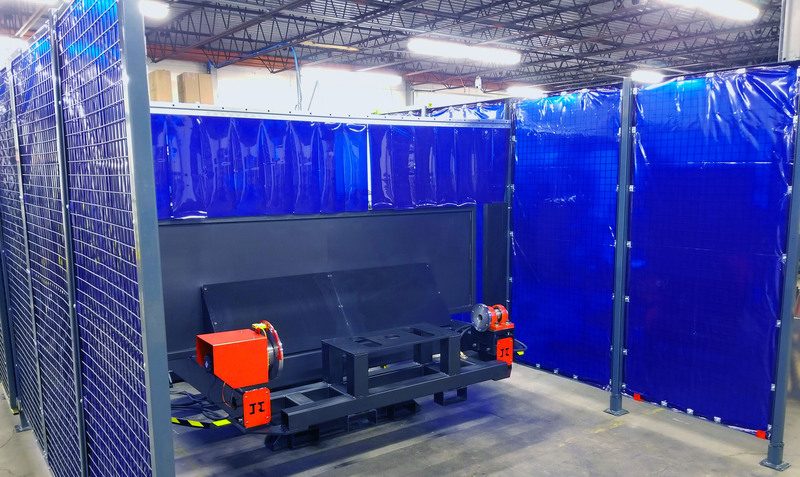 Our welding cells and positioners are designed and manufactured in-house on some of the newest state-of-the art equipment such as Okuma M560V machining center, Hwacheon live-tooling turning center, Omax Waterjet, Amada CNC Press Brake and ShopSabre CNC Plasma - all located at our facility. 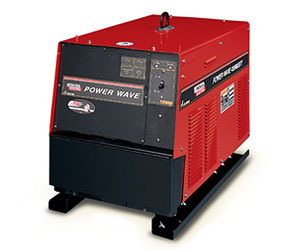 We utilize welding power supplies from Lincoln Electric, Miller, Fronius, and OTC Daihen. 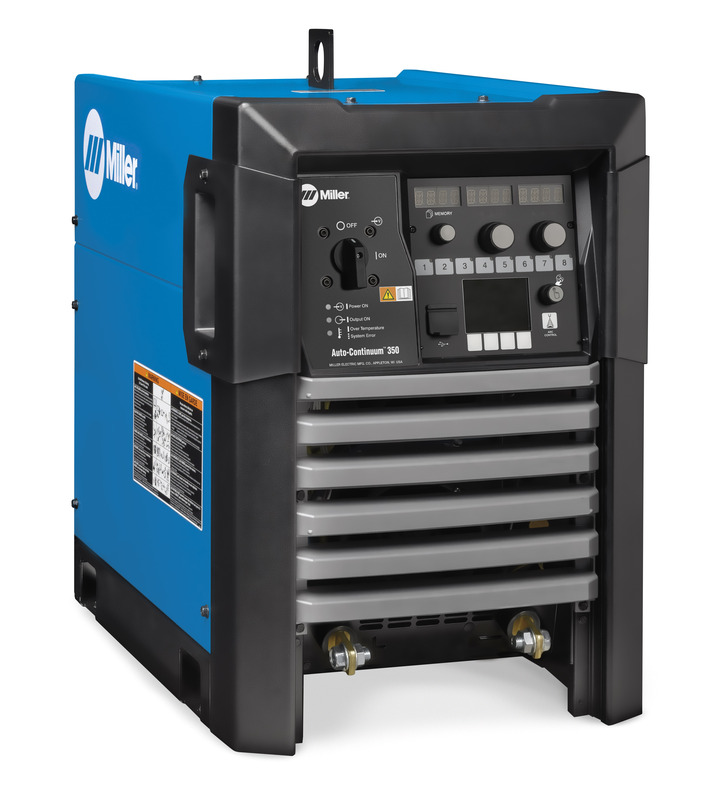 We can assist in the proper selection of welding power supply based on your process needs. Welding torches and torch-cleaning stations from Pac-MIG, American Weldquip, StableArc, Binzel, Tregaskiss, and Tweco are all readily available. We are a stocking distributor for Weldquip, StableArc, and PacMIG. 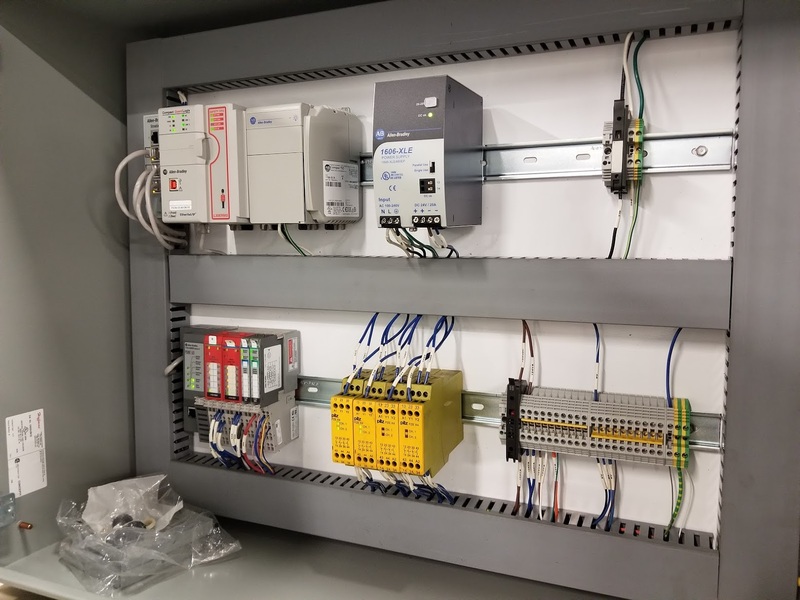 Standard system controls from Allen Bradley / Rockwell Automation include CompactGuardlogix PLC with safety-ladder, Ethernet I/P communication and integration with the robot(s) in the cell, color touch-screen HMI with program recipes, welding fixture integration and support. We utilize Rockwell Logix Designer 5000 software and PanelBuilder software. Each robot system is also shipped with the ability for remote PLC support.